These are predominantly for the domestic and small commercial market, ranging from 5kW (for use in highly efficient buildings) through to 200kW for small district heating networks, but most commonly 30-50kW. They are usually installed in their own boiler room separate to the occupied / accommodation area, and should be built and tested to EN 303-5 to ensure they meet the European Standards. 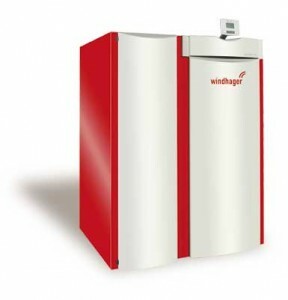 The smaller sized boilers are usually dedicated to a particular fuel type with a narrower fuel specification. The larger boilers are more flexible in the fuel that can be burnt. For more flexibility, some boilers are designed for multiple fuel types (e.g. wood-chip, pellet, sawdust, etc) however it is important to understand that they usually run on one fuel type at one time and often need to have the controls adjusted to change the fuel type.